Is your hearing problem just earwax? One of the more common issues that we see with clients that come into see us is earwax. Earwax or as it is more formally known, cerumen, is a build up from the secretions from the sebaceous glands and the apocrine sweat glands in your ear canal. It is made up of a mixture of shed skin cells, oils and sweat. Keep in mind, Earwax is not a bad thing, in fact it is a good thing to have in your ears. It has anti-bacterial properties and works like a protective layer between your ear canal and the outside world. Dust, bacteria, anything that enters the ear canal is met with the earwax and stopped before it reaches the tympanic membrane or eardrum. At SoundChoice Hearing, our Hearing Specialist are trained to check to see if the ear is clear and free of wax build up. A hearing assessment cannot be performed on anyone with wax in their ears as large amounts of wax can impact on the hearing test results. Impacted wax also obscures the view of the eardrum, which stops us from viewing the health and condition of it. Earwax can also cause difficulties for existing hearing aid users as it may cause their hearing aids to whistle. If you think your problem may just be earwax, schedule an appointment with our Hearing Specialist as we offer an earwax removal service. 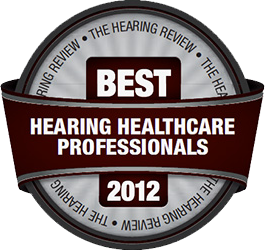 In some cases, the earwax may be severe enough that we will refer you to your primary care doctor for an ear rinsing. In others, you may not have ear wax at all and may require a hearing exam.